New Hampshire has one school that offers a master's in communication program. Southern New Hampshire University in Manchester offers a fully online Master of Arts in Communication program that prepares students for a variety of career paths, including public relations, advertising, marketing, journalism, social media and online communication. Fully accredited by the New England Association of Schools & Colleges, the online program at Southern New Hampshire University allows students to study from anywhere around the state whenever it is convenient for their schedules. Following graduation, students may seek employment in one of New Hampshire's major industries such as travel and tourism, high technology/technology manufacturing and healthcare. In addition there are several advertising, marketing and communication companies based in Manchester and Portsmouth as well as local media outlets that may provide potential job openings. 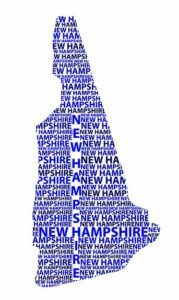 Southern New Hampshire University offers a fully online Master of Arts in Communication program with two program concentrations: New Media & Marketing and Public Relations. What to Know: The online Master of Arts in Communication program allows students to choose from two professional concentrations: New Media & Marketing or Public Relations. The program is designed to be completed in as little as 15 months, and culminates in a final capstone course in which students strategize and execute a real-life communication campaign. What Does It Cost? : Graduate level tuition for online graduate students is $627 per credit hour or $1,881 per course. In addition there is a $40 application fee, $150 graduation fee and the cost of course materials. Anything Else? : The program has several start dates throughout the year for students to begin their studies when it is convenient for them.